Our minds send a million thoughts. Our ears hear the silent words of absent friends, lovers, family…. Our eyes view the truth of action…. Our touch reveals our truths…. 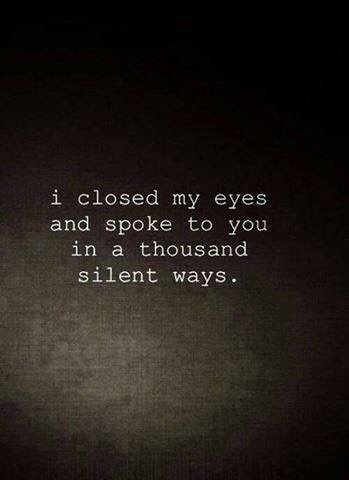 I close my eyes and silently speak….